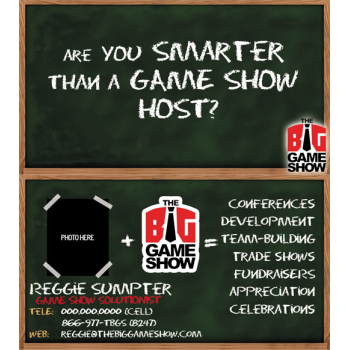 We host game shows! 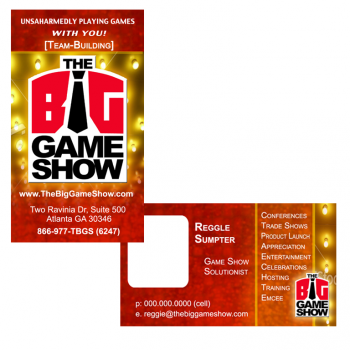 People use us for entertainment, training, hosting conferences, team-building, and more. 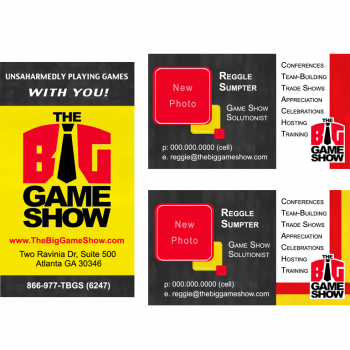 Our cards are for potential clients. They need to see we are a unique company that is professional. 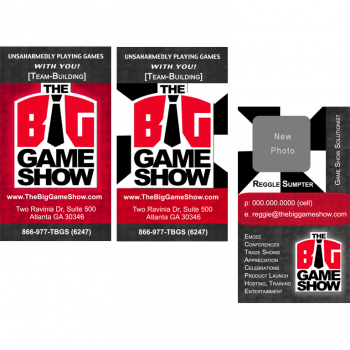 We want our cards to have a fun look to them, but also represent that we care about accuracy and quality. 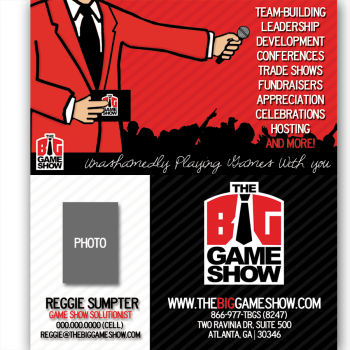 Most of these cards will be given to decision-makers at different companies. 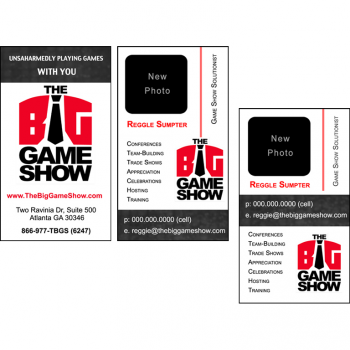 * The business cards need to have a front and back. 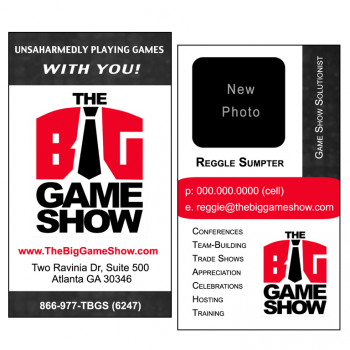 * I've attached our current business card for reference and for address info. 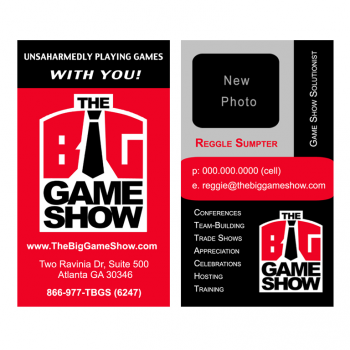 * The photo (headshot) will be new, so feel free to use another photo of a different size as a placeholder. 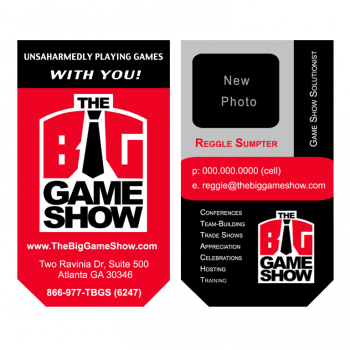 * I've attached our new logo, which is the reason for the new card. 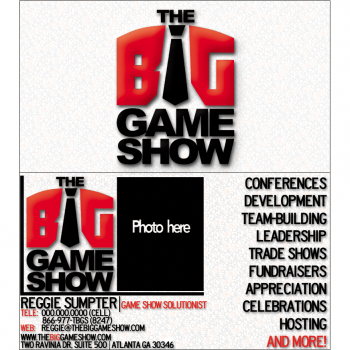 * I will need the file in an editable 300 dpi, layered, Photoshop format. 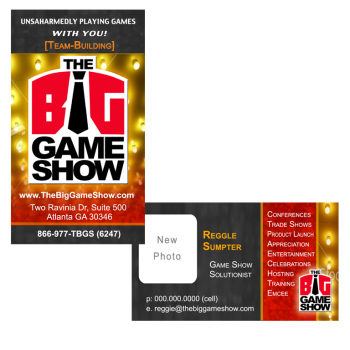 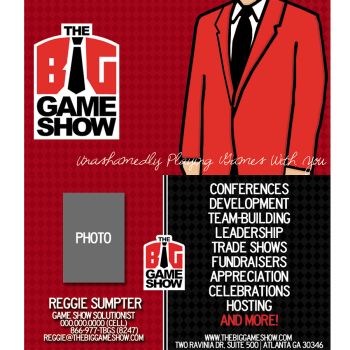 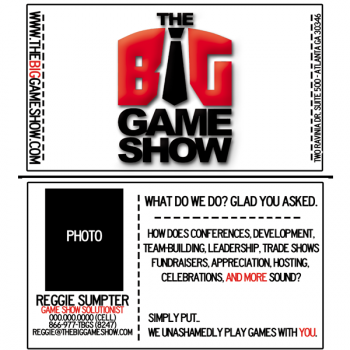 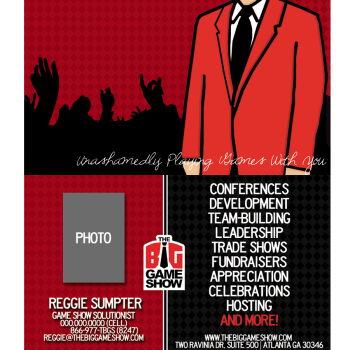 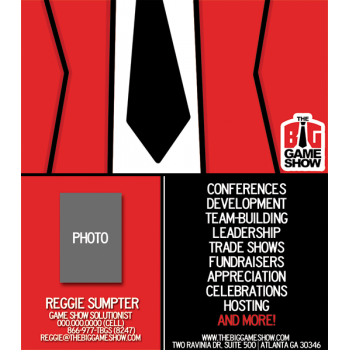 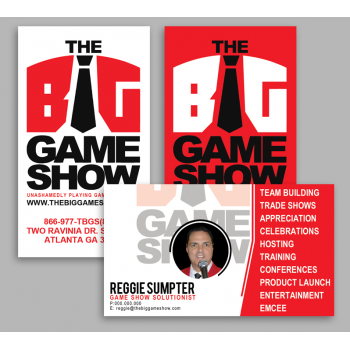 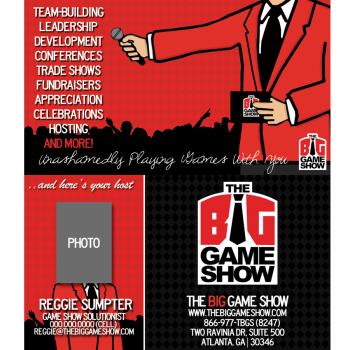 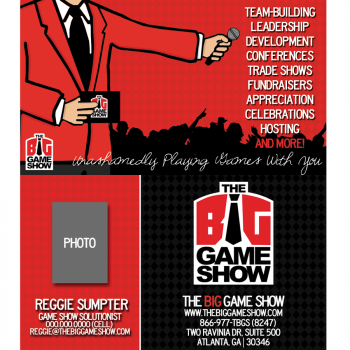 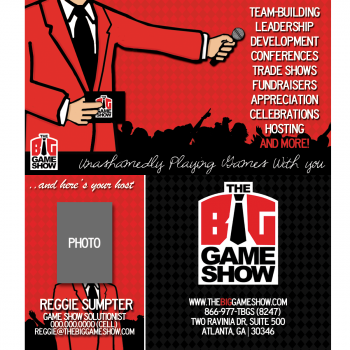 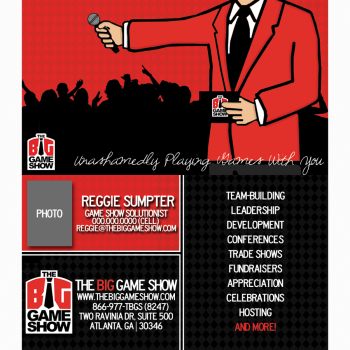 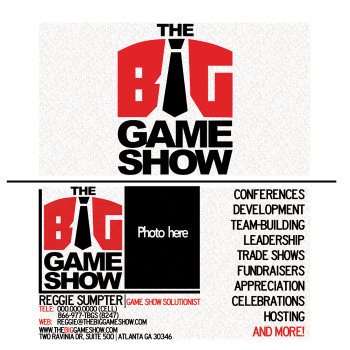 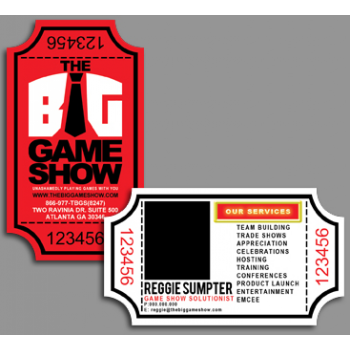 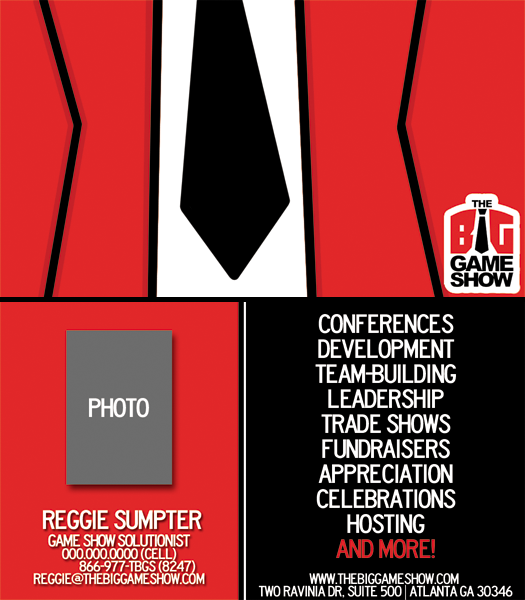 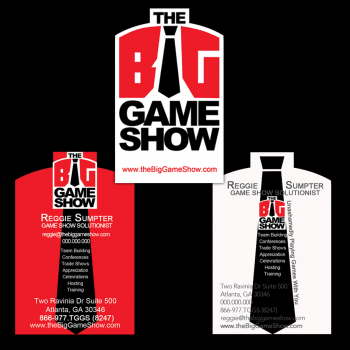 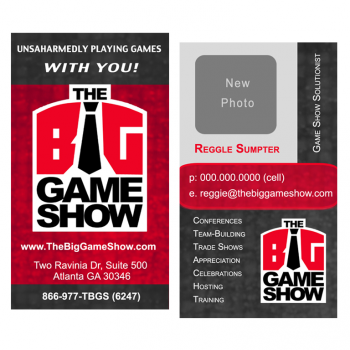 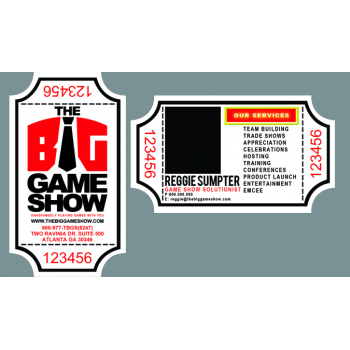 * Visit our site at http://www.TheBigGameShow.com for more ideas.